Whether it’s your first time in Philadelphia or you know the city inside and out, there is one thing you can never really get tired of—and no, it’s not cheesesteaks. 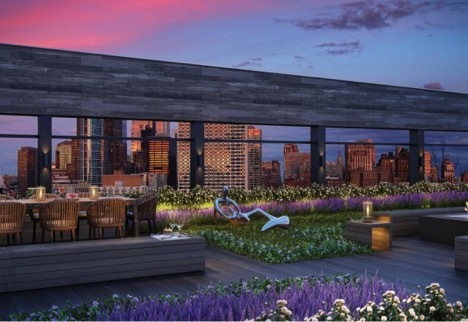 Lifelong residents and first-time visitors alike crave a view of the city’s ever-evolving skyline. After all, there was a time when nothing rose above William Penn’s hat. Now, with dozens of skyscrapers, restored buildings and luxury apartment spaces, seeing the whole city has never been easier—or more beautiful. What’s more, you can make these breathtaking 360º views part of your everyday routine at AKA University City. 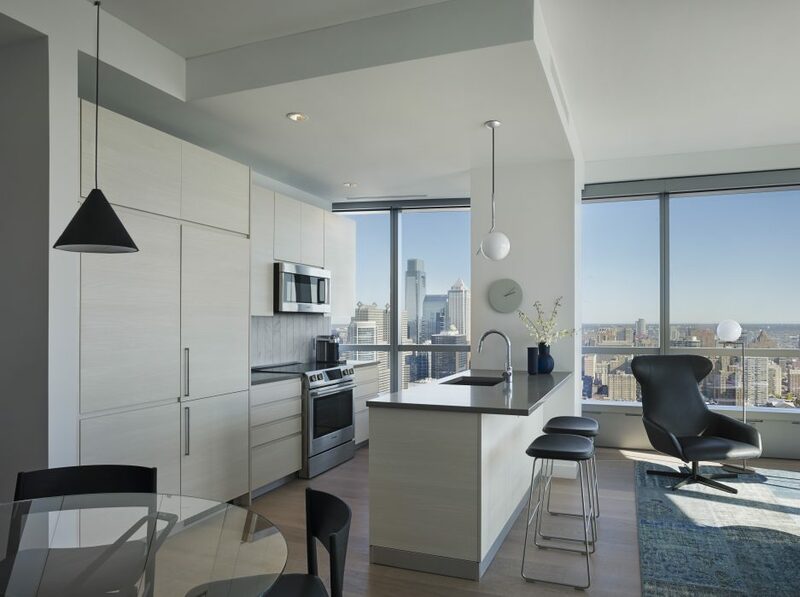 With the award-winning designs of Pelli Clarke Pelli Architects, each space in AKA University City promises a unique view of Philadelphia’s skyline with the interior ultra-lux style to match. Boasting 10-foot ceilings and finishing touches by the interior design team at Lissoni Associati, AKA University City is the ultimate escape above the clouds. After a busy day of exploring the town, take in one last peek at the city lights as you lay your head to rest. Not much of a morning person? When you wake up to a view like this from your kitchen it’s hard to resist seizing the day. A dinner party hosted here ensures there’s no shortage of cocktail hour conversation. 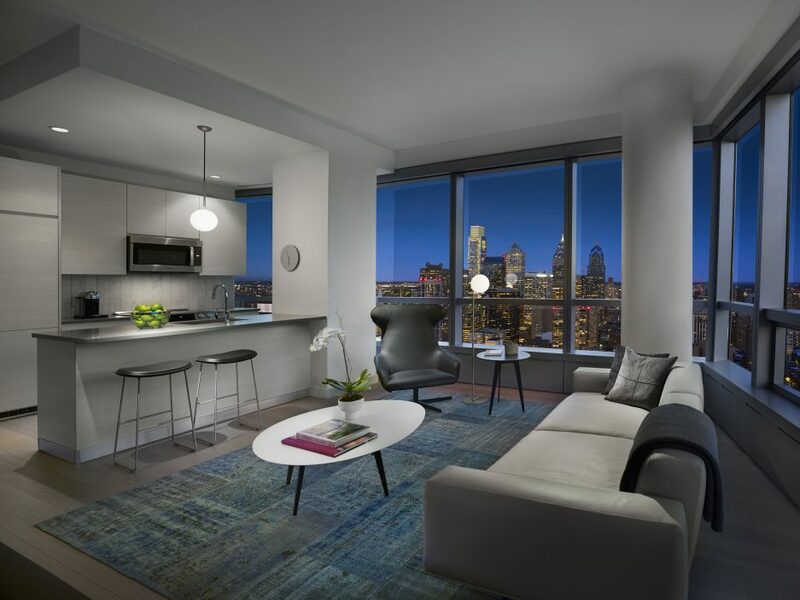 AKA University City’s residences, ranging up to 1,120-square feet in size, are the perfect place to reconnect with family, find new friends and dine in luxury. 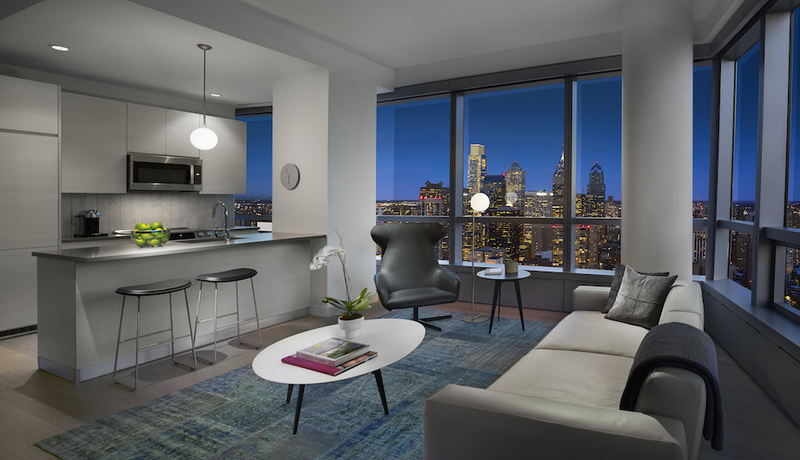 Located within Philadelphia’s first “vertical neighborhood,” AKA University City is all about experiencing life with a view. 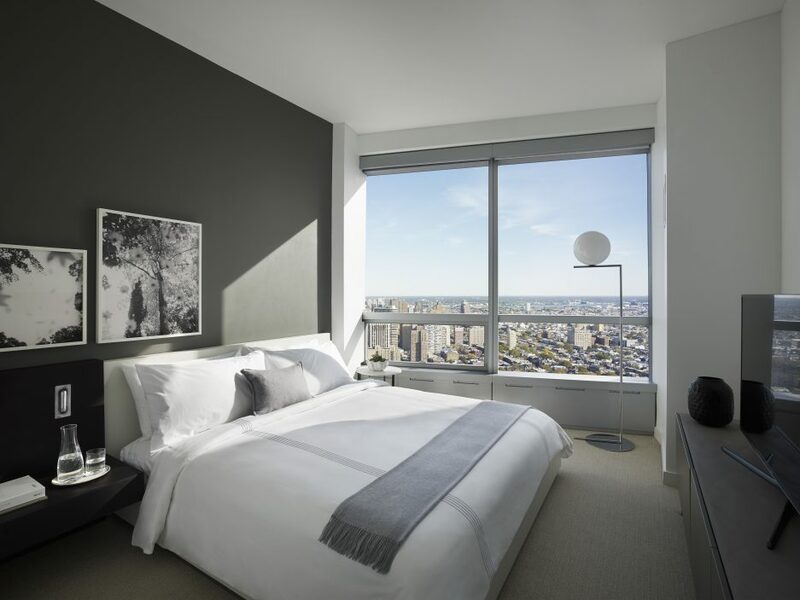 On the 28th floor, guests and residents can unwind, work out or socialize in style. With a 72-foot stainless steel swimming pool, private theater, 3D golf simulator and outdoor terrace (complete with fire pits) the toughest part of your stay might be deciding what you want to do first. Ready to make these views your own? For more information, (or to book your new home away from home) visit akauniversitycity.com.